Labradorite: this beautiful, earthy hued natural stone is known for its healing properties, including encouraging the wearer towards: expanded consciousness, self-improvement and an increased connection to both earth and spirit. 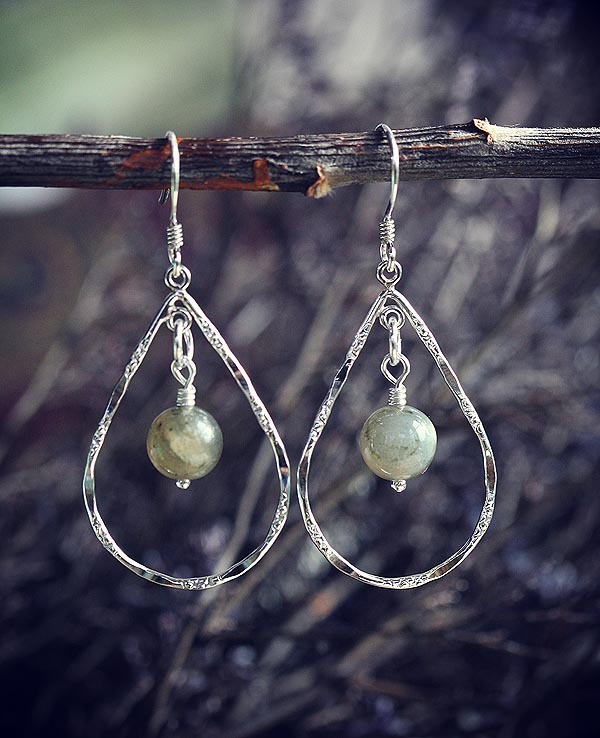 This graceful pair of sterling silver and labradorite gemstone earrings are so unique. 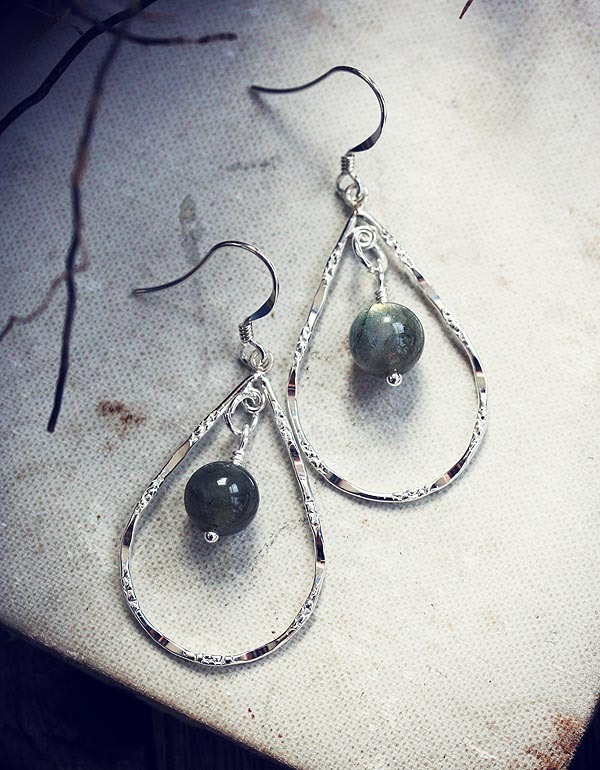 A hammered teardrop in sterling silver fill suspends an 8mm round smooth, polished labradorite round. Hung from sterling silver wire hooks for pierced ears. All metal is sterling or sterling silver filled. 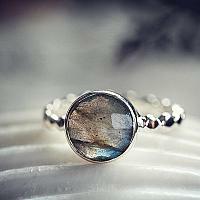 Features labradorite natural smooth rounds. About 1.95" long including hooks.